The U.S. intercepted a mock warhead Tuesday over the Pacific in a demonstration of the U.S. missile defense program, per the AP. 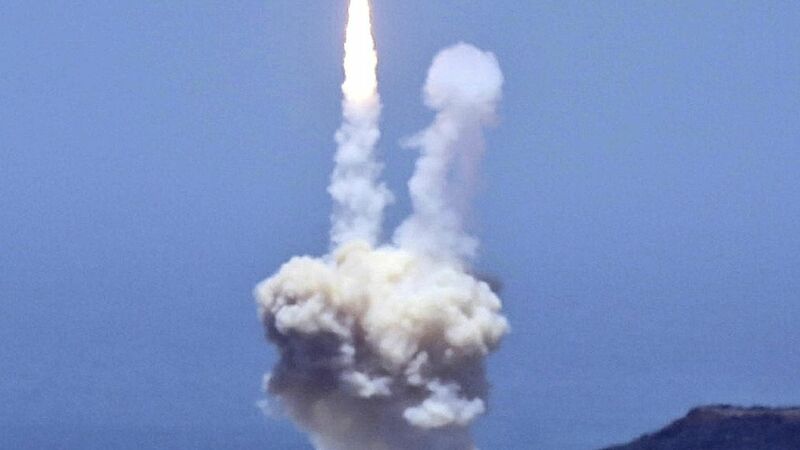 The mock warhead was launched from a Pacific atoll, and the interceptor rocket launched from Vandenberg Air Force Base in California. Why it matters: It's the first interception of an intercontinental range missile like the one North Korea is developing. Plus, it signals the Pentagon has fixed a system that worked in fewer than half of its previous nine tests. The Pentagon will be increasing the number of deployed interceptors in California and Alaska from 36 to 44 by the end of this year, with congressional support. This comes the same day that the Missile Defense Agency announced it is ramping up its development of the Multi-Object Kill Vehicle (MOKV), an interceptor that can block several incoming warheads. This is key since it can block a warhead and several decoy warheads all at once, which is a capability North Korea is likely developing to be able to obfuscate which nuke is the real threat, per Defense One.